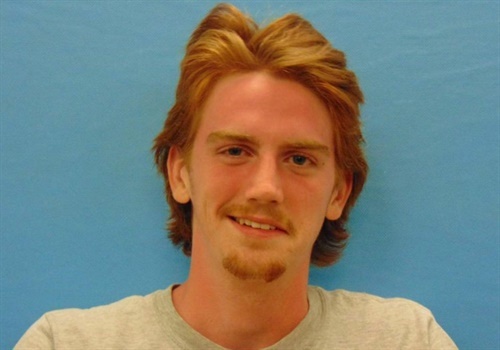 A 19-year-old university student in West Texas was charged early Tuesday with capital murder of a peace officer in the fatal shooting of an officer inside the police station. 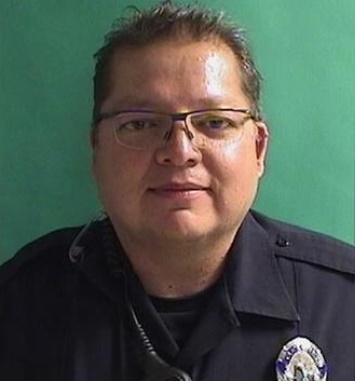 In a press conference Tuesday afternoon, officials identified the officer as 48-year-old Floyd East Jr.
East began his career with the Texas Tech Police Department on December 1, 2014. He is survived by his wife, Carmen, and his two daughters, Ana and Monica, reports the Associated Press. The fatal shooting happened at the campus police station, where the student was being questioned in a drug-related case, authorities said. The suspect, who was not handcuffed, reportedly fled on foot after shooting and killing Officer East. The suspect, identified by the university as Hollis Daniels, was tackled by officers in a parking lot adjacent to the coliseum. Det. Thomas Bonds of the Lubbock city police department says in an affidavit that Daniels told officers he had done "something illogical" and that "he was the one that shot their friend." An officer with the Los Angeles Police Department was shot on Saturday night as he and other officers pursued a fleeing suspect. A trooper with the Colorado State Police was injured early Monday morning when a suspected DUI driver crashed into his parked patrol vehicle. Deputies with the Collier County (FL) Sheriff's Office were conducting a speed enforcement operation in Naples when they were faced with an interesting problem—there were almost no speeders. Protestors took to the streets of New Haven, CT, over the weekend to protest an officer-involved shooting earlier in the week that left a 22-year-old woman with non-life-threatening injuries. A man is in custody after he reportedly opened fire on officers with the Leawood (KS) Police Department immediately prior to a six-hour standoff on Saturday night. According to the Boston Globe, the subject—identified as 25-year-old Claude Brown-Madison—was shot in the lower body and suffered a non-life-threatening injury. An officer with the Cahokia (IL) Police Department was recently faced with an excellent opportunity to serve one member of his community in a very special way. A man who was reportedly fleeing police in Milwaukee crashed into a vacant home, setting both the car and the dwelling alight in flames. Body Armor Protection Levels: What Do They Mean? Which One is Right for You? What do the various levels of body armor protection mean? How do you choose which one is best for you?